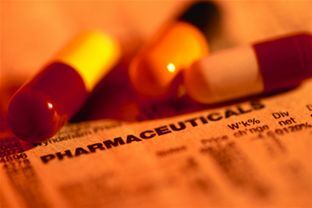 Despite its perceived resilience in a recession, the pharmaceutical sector has had to deal with the realities of the global downturn just like every other industry. That’s according to Anne Hale, Senior Director/ Team Leader Speciality Care Market Analytics, Pfizer. Hale will be a speaker at the marcus evans Consumer Insights in New Product Design and Delivery Conference in Boston, 13-14 January, 2011. As a global pharmaceutical powerhouse Pfizer too has had some recession lessons to learn. “We kind of had to wake up a little in this recession. Initially what we were thinking, especially in the business unit of speciality products, which are drugs designed for very serious and often life threatening conditions, is that recession or no recession people need to have their medications. So I think as an organisation we might have been a little naive in thinking we would not be as hurt by the recession as other industries would be. And in many cases I do think we were correct in that assumption,” explains Hale. While the pharmaceutical sector has been able to fare the recession better than other industries it has not been left unscathed, she adds, with consumer behaviour now being closely watched. "Our patients learned how to dose stretch – if you need a high cholesterol medication but have been dramatically impacted by the recession, you might not take your pill every day. You might only take it every other day or pill split. So if people cannot afford their medications will find ways to try to do the best that they can with the limited resources they have. “It focussed us to be more aware of how the recession was affecting our patients and help them to weather the storm – the really, really down time within a recession. I think we have learned quite a bit from our consumers about how they make do when times are tough,” Hale admits. One worrying ramification of the recession that Hale sees playing out in patients’ behaviour is the growing practice of ‘pill splitting’. “This is a huge area of concern for Pfizer. It’s an area of concern to everyone, to physicians as they are trying to get the nest possible outcome they can for their patients and an area of concern to the people that are paying for the medications. If you don’t take your medications odds are the outcome of that is going to be something that will cost governments or health plans more than if you did take your medication. It’s a problem that is spread across every disease area,” she concludes. The marcus evans Consumer Insights in New Product Design and Delivery Conference in Boston, 13-14 January, 2011.